The virtualisation environment we know today has changed dramatically since its inception 25 years ago. What was initially a separation of the desktop work environment from its physical hardware has now evolved into the separation of work environment and application. All in an effort to better equip the mobile worker, drive down IT and network infrastructure costs, reduce spend on hardware and consumables, while improving workforce connectivity, increasing operational capacity and addressing security challenges like BYOD (bring your own device), virtualisation seems to be the ultimate solution. If CIOs are, indeed, concerned with driving down costs and aligning their departments with business objectives, vendors believe that embracing this new wave of virtualisation is a no-brainer. If that's the case, then why are CIOs seemingly so hesitant in adopting virtualisation to reap the proven benefits? A number of CIOs in the industry recently sat down to discuss these issues. 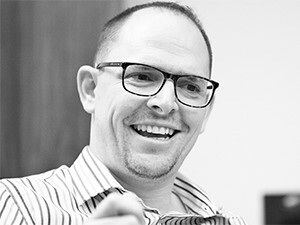 Providing useful insight into the adoption rate of virtualisation by South African IT companies, these CIOs are well aware of the concerns businesses have regarding virtualisation, and argue that, in light of the benefits, it ultimately boils down to questions of cost and consequence. 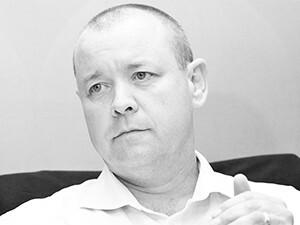 Brian Temperley, MD at Turrito Networks, says virtualisation "is really just a platform to be able to give people access to an application and allow them to create, edit, manipulate and save data". "It's about delivering a desktop experience in an optimal manner that is acceptable to the end-user," says Vikesh Vallabh, systems engineer, Citrix South Africa. "We've virtualised the home-screen, now we're virtualising the application, by removing the operating system." "So much of this has been done already," notes Jonathan Young, head of Product at Cloudware Technologies, "but while we do need an entry or user experience interface, the temptation is to recreate what's used in a desktop and stick with an operating system, but if you take just the applications and virtualise them, you can save on costs and increase performance." Companies need to be mindful that ownership of data is their biggest asset. Temperley adds the operating system portion is unnecessary. Users need the application, so "we throw away everything but the application and what we're left with is more of a virtual workspace than a virtual desktop". "The South African environment tends to be very conservative when it comes to these types of technologies," says Temperley. Making the transition from a desktop (virtual or otherwise) to accessing and manipulating data using a bundle of applications that are in the cloud can be daunting and fraught with challenges. "We're more conservative than we realise," says Jonathan Young. "But often it's the end-user who is hesitant to work with the new technology. When you go visit that end-user, he will say that he must work locally. In his mind, he has worked by saving data on his desktop for 20 years, and the notion of migrating to a virtualised environment is an uncomfortable one." Temperley argues that, while a lot of businesses think working locally is more secure, there's really very little difference: "The reality about security is that anything that is a network point is exposed, but there's no difference in the level of security that you can provide in virtualisation and centralisation than you can locally." Another reason is the CIO's instinctive adversity to risk. Temperley speaks of the CIO's concern that if they leap into virtualisation and it goes wrong, their relationship with the C-suite will come under further strain. Believing that CIOs would prefer to let someone else take the risks and adopt later, Temperley says early adopters are usually SMEs and entrepreneurial types who have the agility to make these kinds of big decisions. "The impact of replacing, for example, 34 000 laptops with virtual machines, is huge. It's a two-year project and it's a big decision. If that goes wrong, it's the CIO who is going to be fired - it's as simple as that." Another key consideration for CIOs is how to control information. "Companies need to be mindful that ownership of data is their biggest asset," says Gregory Anderson, country manager for Trend Micro. "How do I control it? How do I lock it down?" For higher-ranking workers and workers who need mobility and always-on virtualisation, their travels might mean poor network infrastructure or expensive access. "The solution here is to provide the same benefit of centralisation, management, performance, optimisation, security, control, all those things that VDI delivers, but factor in offline access. So, deliver it, manage it in the same way, but allow for local execution," advises Thuthuka Mhlongo, portfolio manager for End User Computing at T-Systems. It's important to bear in mind that virtual desktop infrastructure isn't a magic cure-all, that there are other architectures that need to be put in place to have a holistic ENC strategy. When it comes to contractors, it's possible to inject what can be compared to a 'poison', where the virtual network or the physical image is delivered to the end-user on their own device, and when that contract is finished, that image is immediately destroyed. So data loss protection comes into the conversation through virtualisation, which means BYOD is no longer the big security threat everyone thought it to be. Nick Black, business manager at VMware, maintains: "Where one machine is vulnerable, because you have generic policies on the perimeter, with virtualisation, you can set up granular policies per workload, specific to that workload, and as these machines move around, they take that security with them wherever they are and that's far more secure." We're more conservative than we realise. 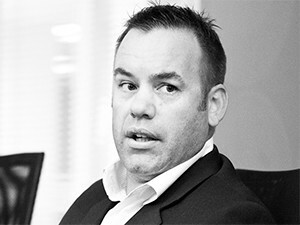 Certainly from a South African context, a hybrid cloud scenario (a cloud computing environment in which an organisation provides and manages some resources in-house and has others provided externally) could be an important transitionary tool to bring people through that journey to virtualisation. Temperley believes this is because it "provides the path for all the hurdles to be overcome. CTOs, CFOs, CEOs and CIOs will all be able to see the benefits and expand on them. While a leap of faith into virtualisation might not be possible because of the massive strain on budgets available for IT environments, a hybrid cloud scenario will allow businesses to draw more and more from that cost benefit over time, and then ultimately, we'll have arrived at a virtualisation point, anyway." 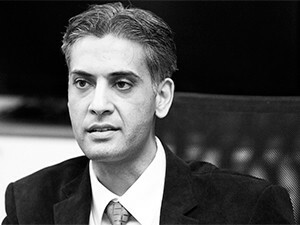 Vikesh Vallabh, Citrix South Africa. It saves money: Virtualisation reduces the number of servers you have to run, which means savings on hardware costs and also on the total amount of energy needed to run hardware and provide cooling. It's good for the environment: Virtualisation is a green technology through and through. Energy savings brought on by widespread adoption of virtualisation technologies would negate the need to build so many power plants and would thus conserve our earth's energy resources. It reduces system administration work: With virtualisation in place, system administrators would not have to support so many machines and could then move from fire-fighting to more strategic administration tasks. It gets better use from hardware: Virtualisation enables higher utilisation rates of hardware because each server supports enough virtual machines to increase its utilisation from the typical 15% to as much as 80%.